Mercedes-Benz 190E 2.5-16: Searching for "The One"
Lately, I had been seeing a lot Benz's around on the roads and it got me thinking about the last Mercedes I had the pleasure of driving. It was a 1993 W201 180E. 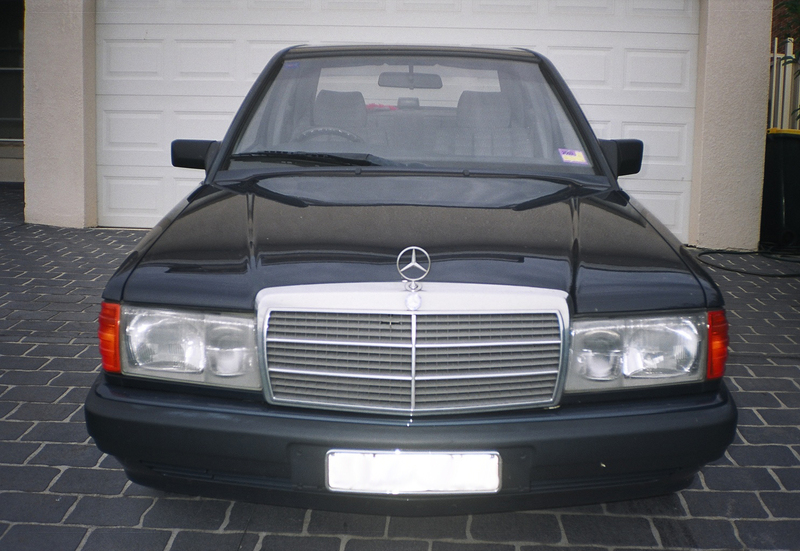 The 180E was a stripped down version of the 190E which had many options and features removed in order to be sold below the threshold of the luxury car tax in Australia. I believe the 180E designation was shipped to a number of other countries for similar reasons, but I cannot confirm this. After feeling a bit nostalgic, I started looking a some 190Es online in the classifieds just for the hell of it. My lovely wife, asked why I was looking at such old cars. I replied that when it comes to a Mercedes-Benz, age doesn't matter. She paused for a moment and replied to me "So, it's like George Clooney. Age doesn't matter with him either". My wife is full of one liners. She then told me that if I buy a car of that age, she'll name it George. So I continued browsing the ads and found a few that caught my eye. One in particular, a 180E, was very low mileage and had one elderly lady owner since new. I had to check it out, so I did. It looked exactly the same as the one above, except it still had the original steel wheels and hub caps on the outside and wool seat covers inside. It also had electric windows all around. From a distance, it was a very neat and tidy car, but up close, it was telling me to stay away. First thing I didn't particularly like was the price tag. They were asking $6k and even before I came out to inspect it, she told me she wasn't flexible on the price. Stepping up close to the car revealed that it had a fair amount of dents, dings and scratches on nearly every single body panel. I thought this is what happens when you let old people behind the wheel of a car. Everything in the car worked with the exception of the air conditioner and the power mirrors. Not a big problem. I can fix that. Two main things that deterred me from buying it was the panel damage, as it would easily cost upwards of a grand to touch up) and the engine. Since I had personal first hand experience with this engine before, I knew what to expect. I asked if there had been any major work carried out on the engine in an attempt to have them proudly say "no". It worked. They said nothing major has been done, just the normal and regular servicing. Great. a 20 year old car with no major overhauls. But I knew that it's only a matter of time till the head gasket will need replacing. This is evidenced by a milky smoothie floating at the top of the radiator tank. Engine oil is leaking past the gasket and into the water jackets in the engine block. The only solution is to remove the head, replace the gasket and hope like hell nothing else is fudged. I passed on the 180E and casually mentioned to a friend (owner of a C63) that I was looking around for a 190E. I also mentioned that I might be interested in the 16v variant if the price was right. He put me in touch with his friend who wanted to sell his 2.5-16. I went to inspect it, drove it, examined it, listened to his story and fell in love with the car. I remember that while walking away from Decker's house to my car, I said "I'm gonna buy that car". My mind was made up. The following week was a bit hectic getting the finance together, but where there's a Benz, there's a way. Next week, delivery of the Beast.